Please note that my work does not include: - arranging and/or decorating your dinner table; - serving the drinks and/or washing wine glasses; - the provision of waiters. If you want any of these services included in your dinner, please let me know in advance and I'll be happy to help. Extra fees will be charged. The menu Tasting Brazil is unavailable at that date. Chef Ana Brandt is unavailable on this date. 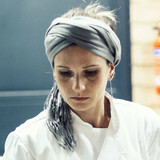 Check chef Ana Brandt's calendar. Chef Ana Brandt is unavailable in this city.